Hezbollah claims revenge strike on Israeli patrol; IDF bombards targets in Lebanon in response, reportedly killing a UN peacekeeper. 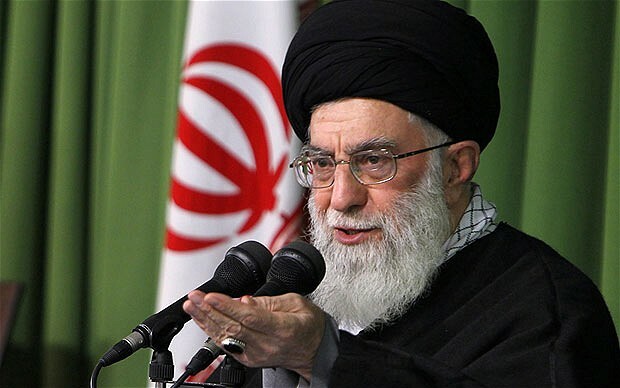 Ayatollah Ali Khamenei ordered a revenge killing of Israeli soldiers after an Iranian general died by Israeli fire Syrian side of the Golan. Two soldiers were killed Wednesday when an Israeli army patrol came under anti-tank fire from Hezbollah operatives in the northern Mount Dov region along the border with Lebanon. The IDF confirmed that at least seven soldiers were wounded in the attack and ruled out the possibility that a soldier had been kidnapped. The two soldiers were not immediately named. They were identified as a company commander and another soldier. When Basher al-Assad called Iran for help against the Sunny insurgency, Tehran summoned Hezb’Allah in Lebanon. The Iranian proxy terror group left their bunkers along the Israeli-Lebanese border, and joined the Syrian army’s defense lines around Damascus. After Obama joined the shiite war against the Islamic state, Hezb’Allah got a hard needed break. The Americans took charge of the the defense of the Basher al-Assad regime, and the Lebanese Islamic terror-group could return to their bunkers alomg the border with Israel. Again the Hezb’Allah was ready to act on received orders from Tehran. When an Iranian top general was killed on the Syrian side of Golan last week, immediately a fatwa was issued by the Ayatollah. The high priest of the Shiite Islamic revolution demanded Jewish blood in a bid to satisfy the wrath of “allah”. Jesus the Messiah has not promised the Jews an easy go. Rather fearful distress as we approach his second coming. The northern border is again hot. The state of Israel fear a spillover of the barbaric civil war among Muslims in Syria. Let us all pray for peace and calm in Jerusalem. Amen.